I love it ~ it may just work. I could have used this one yesterday Garbage Ben came to my house, my girls are very sad about it. 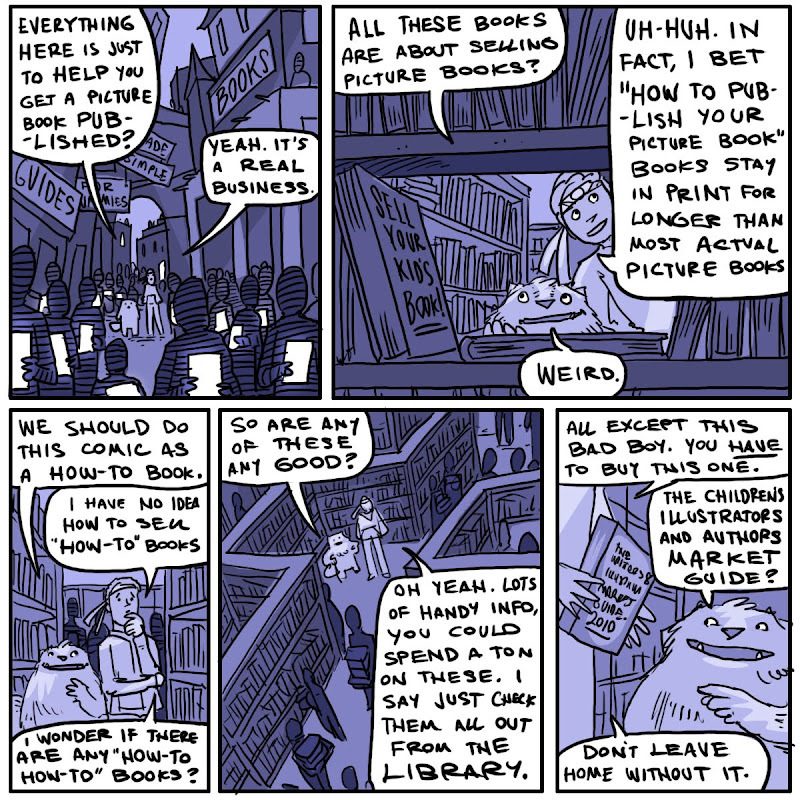 I think your trip to the grim, grim world of children's book publishing is the Greatest. Comic. Ever. 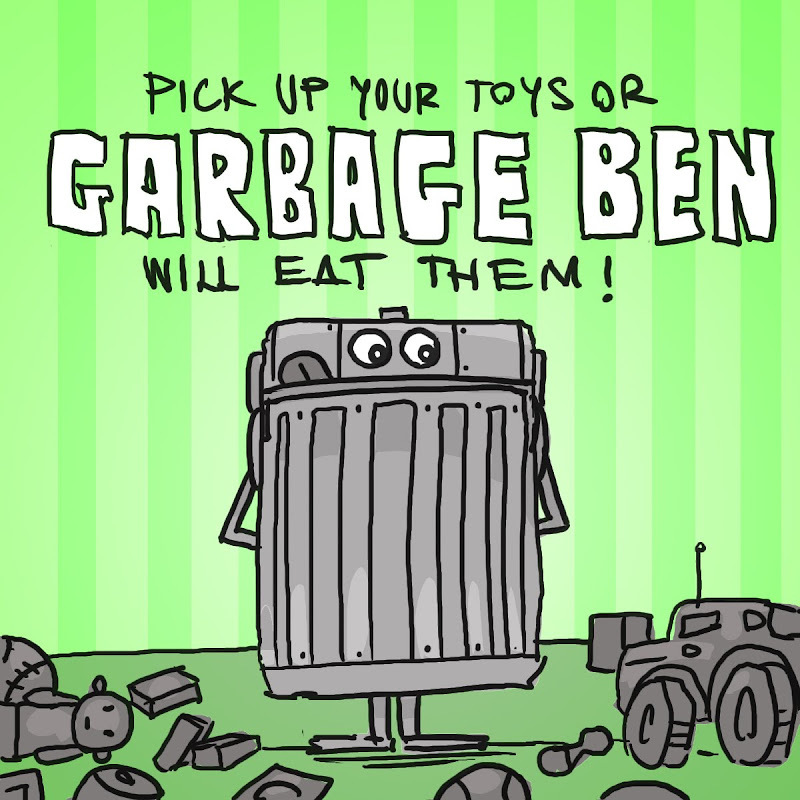 Gee, Garbage Ben wouldn't be pushing an ever so subtle message about messy kids? I'm afraid the Berenstain Bears may have beaten you to the punch there. Or could he possibly be stopping by to form a garage band? Phew, slow commenting on my end. This marathon's no joke. Leea, Brandon and Price--I'm totally the guy who would threaten throwing away toys, but would eventually chicken out. I have too many small toys of my own laying around. DaNae--The story's less about the messy kids, and more about Garbage Ben himself, his bottomless appetite for toys, and the remorse he feels after eating them. And, yeah, I want to schmooze for followers. I want as many followers as I can get. Makes me feel like I'm building an audience. I've had a handful of publishers tramping through here lately, and I'm sure they glance at those numbers. I see blogs about, say, bowling shoes, that have over 1000 followers. I'd love to get numbers like that someday.